13051 Bell Tower Drive in Fort Myers. Tickets are $21 for members and $25 for non-members (and members without a reservation). Students will pay just $10. To register and for more information, visit hrmaswfl.shrm.org. Reservations are requested by April 4. 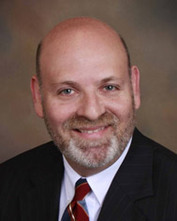 Keith Grossman is the founder of Grossman Law & Conflict Management. The attorney, mediator and trainer will offer techniques for understanding and resolving conflict, which human resource professionals need to address almost daily. This valuable seminar will help attendees understand the stages of conflict and focus on strategies to effectively engage the conflict to result in a positive outcome. The “How to Mediate a Conflict” program is one of Grossman’s signature lecture presentations designed to enhance conflict management and negotiation skills. According to studies, unresolved conflict is responsible for up to 65 percent of workplace performance problems. Furthermore, 44 percent of managers report spending more than 20 percent of their time handling workplace conflict. Costs associated with unresolved conflict include loss of productivity, absenteeism and turnover, and grievances and litigation. Grossman acknowledges that conflict is inevitable, but by learning the dynamics that create conflict and proven techniques to manage it, productivity and a desirable workplace culture can be preserved. “We are all diverse in our background, beliefs, and values,” Grossman said. “We are also diverse in our people skills and abilities to communicate, and our world is becoming even more diverse each day. It is this diversity that is making conflict even more commonplace.” Rather than a threat to one’s business, conflict provides an opportunity to establish expectations for the workplace and develop skills to achieve the goals of the business. Grossman is an engaging speaker who accepts bookings locally, statewide and nationally to talk to corporations, non-profit organizations and professional associations. In addition to his business-focused programs “Is Conflict Managing Your Business?” and “How to Mediate a Conflict,” Grossman also offers conflict management training for individuals in any kind of relationship or team. “How to Build Your Peace Chest” is another of his popular presentations.